Does Nova Scotia’s clearcut response satisfy the critics? Does Nova Scotia’s clearcut response satisfy the critics? According to the Chronicle Herald, “they made all the right noises” but CBC News says “it wasn’t what some were expecting“. 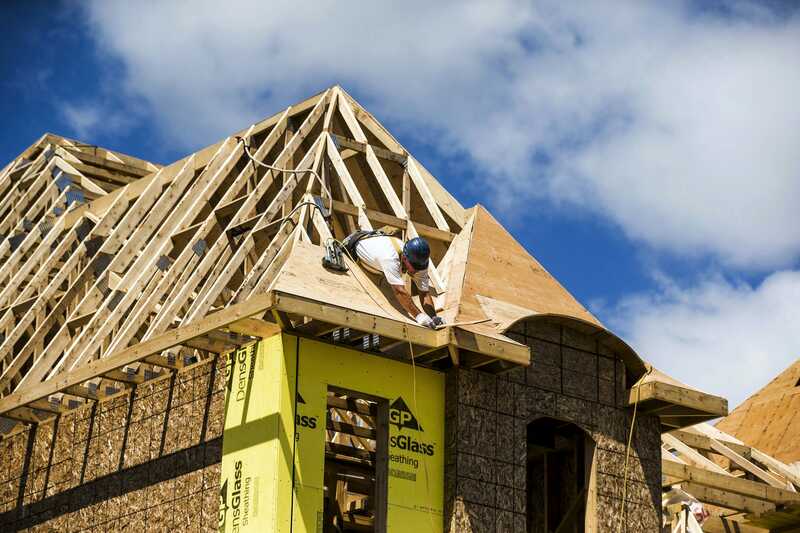 Elsewhere: a major US homebuilder sounds the alarm on a ‘housing slowdown’; sawlog prices were down everywhere but North America in Q2; the wood components sector forecasts US demand to grow; and BC faces headwinds with its forestry mission to Asia. Finally, Canada imports one fake Christmas tree (mostly from China) for every two real ones it grows. Did you loose your toque on the train? Are you looking for the perfect Christmas gift for friends and family? We’ve got you covered. Tree Canada’s toques are good for the noggin and good for the environment! Warm, Stylish and Eco-Friendly toques will keep you warm this winter! With your contribution, you will receive an exclusive Tree Canada tuque and a charitable tax receipt in the full amount of your gift. One tree is planted for every tuque ordered. Do you already have one? Share your #Tuques4Trees selfie in support of green giving! The Global Sawlog Price Index (GSPI) fell by 1.4 per cent from Q1 2018 to Q2 2018. This was the first quarter-over-quarter decline since the Q4 2016. Sawlog prices fell on all continents (in U.S. dollar terms) except for North America, where prices in Q2 2018 were 3.0 per cent higher than the previous quarter and up 13.5 per cent from Q2 2017. Most of the price increases in North America over the past year have occurred in Western U.S. and Western Canada, while log prices in Eastern Canada and the U.S. South have stayed quite stable during the same time period. 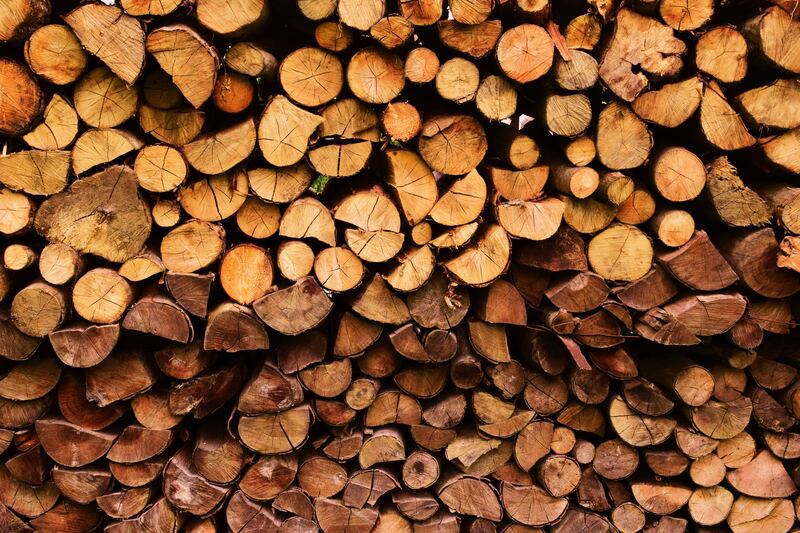 In the Western U.S., sawlogs prices rose sharply during 2017 and early 2018 but came to a halt in late spring when prices slightly declined. …The biggest price declines for sawlogs from Q1 2018 to Q2 2018 occurred in Russia, Brazil and Eastern Europe. United Steelworkers (USW) members have begun a 24-hour rotating strike at Tolko’s White Valley veneer plant near Lumby. The picket line went up at 6 a.m. Monday. … There are 1,800 members in USW 1-423, with about 100 employed at the Tolko White Valley plant. The job action is the first such move in the forest industry in the local in 32 years. It was the first job action planned among the southern Interior locals after talks broke off with a provincial mediator in late November. The last collective agreement between the two sides expired June 30. Montreal – EACOM Timber Corporation believes that building stronger communities is an important part of living up to our values of respect, integrity, learning, and collaboration. Our Scholarship Program allows us to invest in the education of our talented youth and EACOM is proud to announce that fifteen exceptional applicants have been selected as recipients of our award for the 2018-2019 academic year. “This program allows us to support youth in their pursuit of post-secondary studies, and we were thrilled to get so many applications this year,” explains Kevin Edgson, EACOM’s President and CEO. 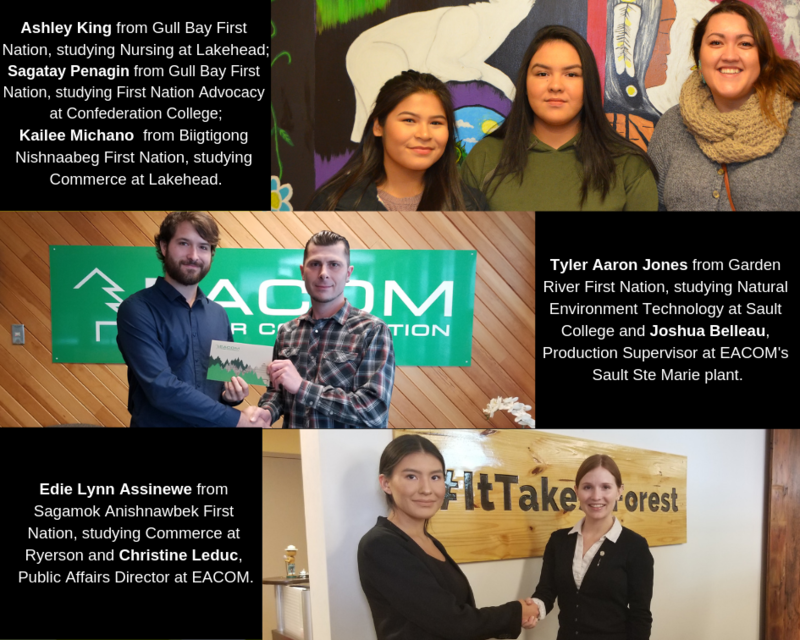 …As EACOM continues to invest in its relationships with First Nations communities, five scholarship awards were granted to students from Sagamok Anishnawbek, Garden River, Gull Bay, and Biigtigong Nishnaabeg First Nations. Three of the recipients also participated in the 2018 Outland Youth Employment Program, the first ever North Eastern Ontario chapter that EACOM proudly supported. Toll Brothers, one of America’s biggest homebuilders, warned Tuesday that the housing market is feeling the pain of rising interest rates. “In November, we saw the market soften further, which we attribute to the cumulative impact of rising interest rates and the effect on buyer sentiment of well-publicized reports of a housing slowdown,” CEO Douglas C. Yearley, Jr. said in the company’s fourth-quarter earnings release. “California has seen the biggest decline. Significant price appreciation over the past few years, fewer foreign buyers in certain communities, and the impact of rising interest rates all contributed to this slowdown.” The Federal Reserve has hiked its key interest rate three times this year and signaled one more hike in December. Tied to other wood products industries, the wood components segment also looks to be on a generally upward growth trend. Included are products used in the cabinetry, furniture, home organization and architectural industries. A snapshot of the U.S. wood moulding and trim market shows demand projected to grow 3.7% annually to $5.5 billion in 2022, driven by a strong rise in commercial construction activity and residential remodeling, with interior moulding continuing to account for the majority of the demand, according to The Freedonia Group study, Molding & Trim in the U.S., 7th edition. 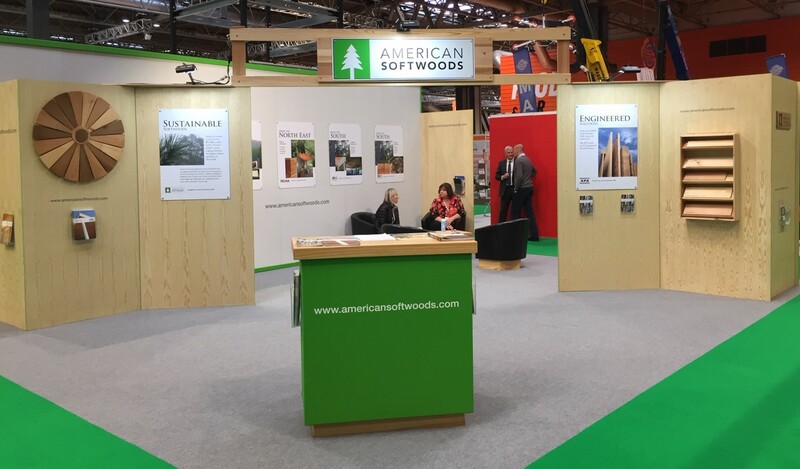 Although solid wood remains the dominant material choice, engineered wood and plastics are growing in usage. On the industrial side, wood is also the dominant material for pallets, with U.S. demand for wood pallets projected to reach 1.4 billion units in 2019, according to Freedonia’s Pallets survey. 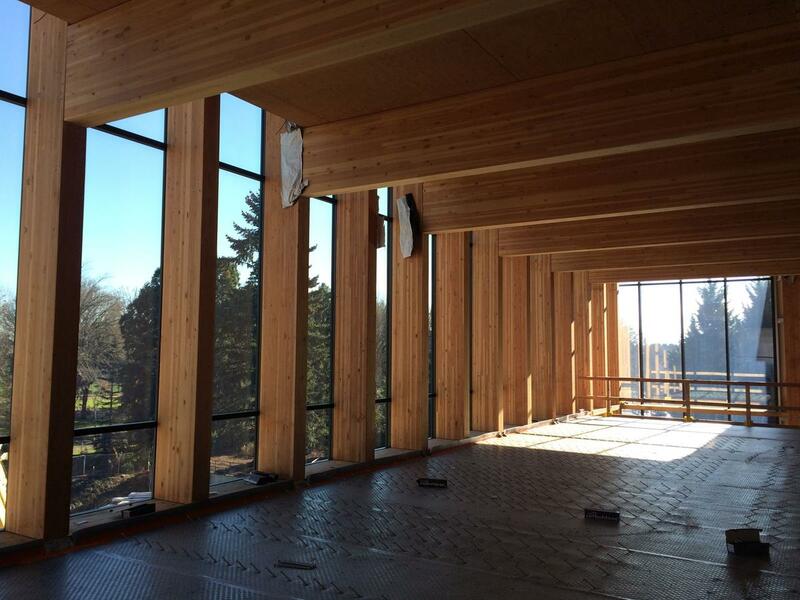 The $79 million project will be the OSU Forestry Department’s new home….and is meant to showcase Oregon forest products, including something called “cross laminated timber.” That’s a technology that’s been widely used in Europe but has yet to be widely embraced in the U.S. The project suffered a setback last spring when one of the cross laminated timber panels collapsed after being installed in the building. The incident was blamed on a manufacturing defect, and the College of Forestry’s Geoff Huntington says he’s certain there won’t be any more difficulties. “There’s no concerns, no questions about it in our mind. Everything in that building is squared up and to spec.” Huntington says the way the building incorporates wood into nearly every aspect of its design will drive home the versatility of wood products to the students enrolled at the school. One-thousand-eight-hundred-and-seventy-two. That is the number of farms that grew Christmas trees in Canada in 2016. According to the 2016 Census of Agriculture, Quebec, Nova Scotia, Ontario, British Columbia and New Brunswick are the main ‘growing’ provinces. Domestic sales of fresh-cut Christmas trees generated $77.6 million in farm cash receipts, and Canada is a net exporter of fresh-cut Christmas trees. In 2016, Canada sent more than 1.95 million fresh-cut Christmas trees beyond its borders, generating $43.1 million in value. Surprisingly, most of the trees — about 1.866 million — went to the United States, not exactly a place short of trees. Their total value added up to $39.7 million. More surprisingly, Canada imported fresh-cut Christmas trees worth $5.1 million. …But if Canada is a global leader in fresh-cut Christmas trees, Canadians are undermining this position by their choices. Canadians imported artificial Christmas trees worth $61 million in 2016, with China accounting for $59.5 million. The BC Wildfire Service is accepting applications for wildland firefighter positions for the 2019 fire season. Online applications can be submitted on the BC Wildfire Service website until Jan. 15, 2019. The BC Wildfire Service is looking for new recruits to fill positions throughout the province, including in Williams Lake, Quesnel, 100 Mile House and Alexis Creek. Provincially, between 150 and 200 positions will be available. Applicants who pass the screening phase will be invited to attend an interview and complete a fitness assessment. These steps will be completed in February in various locations throughout the province. In Williams Lake, interviews will be held the week of Feb. 19, 2019. Nova Scotia: Does the government’s response to the forestry review satisfy critics? On Monday, the government responded to a review of the province’s forestry practices. It wasn’t what some were expecting. HALIFAX — Nova Scotia will adopt sustainable forestry practices that will see reduced clearcutting on Crown land, although the province’s lands and forestry minister is unable to say yet by how much. Iain Rankin said forest policies will be guided by ecological practices through the so-called “triad” model — some areas protected from all forestry, others dedicated to high production including clearcutting, and others harvested with a “lighter touch” and limited clearcutting. The approach was one of the main recommendations in a report last August by University of King’s College president Bill Lahey. “I want Nova Scotians to know that they will see changes in how we conduct forestry on public land,” Rankin said Monday as he released his response to Lahey’s report. The Cornell Lab of Ornithology is a world leader in the study, appreciation, and conservation of birds. But the vast educational opportunities it offers aren’t reserved only for Ivy League students. They include programs for youth, families, and local communities to participate in hands-on learning that benefits birds and the environment. Cornell’s NestWatch citizen-science project recently hosted a series of 18 workshops that engaged afterschool and 4-H groups in building local nest box trails for birds in need of habitat. The project provided nest box materials certified to Sustainable Forestry Initiative (SFI) standards along with activities aligned with Next Generation Science Standards and Common Core Standards. Lessons topics include biology, ecology, habitat, mapping and data exploration. NestWatch and SFI are inviting educators all around the country to create nest box trails for birds on school grounds in order to provide habitat and project-based learning.